Note: Lyme Disease should always be taken seriously and treated with medical attention. This blog post should not be considered a replacement for getting medical advice from a professional. Please speak with your doctor if you think you may have Lyme Disease so that you can be tested and get full treatment. If you are already using medication for Lyme Disease and want to use CBD as well, speak to your doctor about wanting to add CBD in your regimen. If you’re familiar at all with CBD, you’re likely aware of its ability to offer therapeutic benefits for several different conditions. CBD is most commonly used for conditions such like chronic pain, anxiety, inflammation, and epilepsy. The therapeutic benefits of the non-psychoactive cannabinoid, however, reach far and wide. CBD has shown to be beneficial for so many things, we sometimes wonder if there’s anything cannabidiol can’t do. For example, did you know that CBD could offer tremendous relief for those suffering from Lyme disease? Every year, there are approximately 30,000 cases of Lyme disease reported to the Centers for Disease Control (CDC). And this doesn’t account for all the cases of Lyme disease that are diagnosed in the US each year. Caused by the black-legged tick (Ixodes scapularis), commonly known as the deer tick, reports of Lyme disease throughout the US are on the rise, increasing more than 80% between 2014-2016. If you or someone you love has contracted Lyme disease, CBD could just offer the relief so desperately needed. How exactly does CBD help with Lyme Disease? Before we get into exactly how CBD might help offer relief for Lyme disease, it’s important to understand exactly what Lyme disease is, as well as the symptoms associated with it. Lyme disease is caused by a bacteria (Borrelia burgdorferi) that is carried by the deer tick. When a deer tick infected with this bacteria bites a human, the bacteria is then transferred to the bitten individual. Symptoms of Lyme disease can show up anywhere from 3-30 days after being bitten. Not everyone who’s bitten by an infected deer tick will necessarily contract Lyme disease. 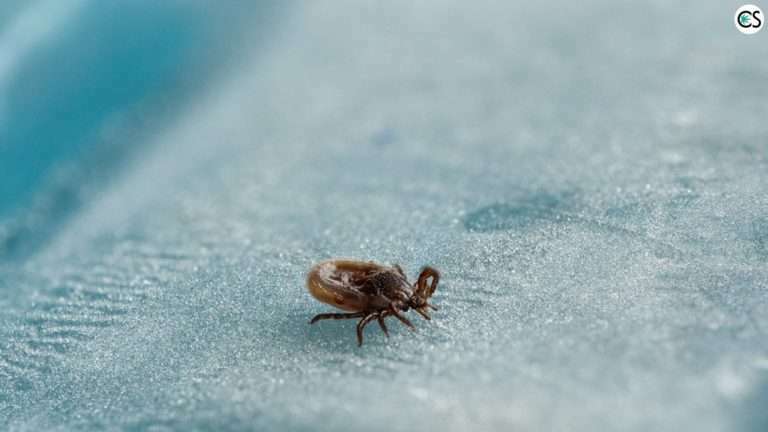 According to the CDC, other factors of contracting Lyme disease can include how long the tick was attached to the body, as well as where the person was when they were bit. In order to contract Lyme disease, the deer tick must be attached to the body for 36-48 hours. If you’re one of the unfortunate people who contracts Lyme disease, the symptoms can be wide-ranging, subject to the stage of the infection. Because symptoms of Lyme disease are so similar to that of the flu, it often goes undiagnosed. And the ticks that cause the infection are so small that it wouldn’t be unlikely that a bite went unnoticed. Nymph (young ticks) deer ticks, for example, are only the size of a poppy seed. Adult deer ticks are about the size of an apple seed. Needless to say, Lyme disease can be a serious problem. There are countless stories of those who have lived with the disease, some with mild cases, some with far more serious accounts of how this disease affected their life. For those who have struggled to find a treatment that works or anyone looking for alternative options to treatment they’re currently receiving, CBD could help. While we’re not suggesting you try to treat your own Lyme disease by simply smoking weed, we do believe that there is promise in cannabis and hemp products to help manage some of the symptoms associated with Lyme disease. There are several reports of cannabis showing to significantly help with the often-debilitating symptoms associated with Lyme Disease. When Mclaughlin became exhausted of not seeing results from the prescriptions he was taking, he asked his doctor for an alternative. His doctor suggested Mclaughlin try CBD. How exactly did CBD work for the young man? CBD has had such a positive impact on Mclaughlin’s life that he’s now dedicated to helping other Lyme disease patients find relief with CBD. Lyme disease is something that’s under-researched and antibiotics that are commonly prescribed don’t always work like they’re intended to. This is something that’s left many patients to seek out alternative treatments. Leonard was one of them. After testing positive for Lyme disease two months after getting sick, the oral antibiotics she was given weren’t helping. When she took her doctor’s advice and began researching alternatives, she came across CBD. It proved to be life-changing. She now takes 10mg of CBD a day, which Leonard says “completely eliminates the low-to-medium grade nausea” she has early in the day most days, as well as the “inflammation-caused pain” in her joints, chest, and back. What’s more, is she’s stopped taking painkillers at night just so she could sleep. In a 2018 article on LymeDisease.org (an organization committed to the advocacy, education, and research of Lyme disease), Dr. Daniel A. Kinderlehrer, a specialist in the treatment of tick-borne diseases in Denver, Colorado, explains how both indica and sativa strains of marijuana, as well as CBD hemp oil can benefit Lyme disease patients. He also recommends a combination of equal parts THC and CBD for nighttime use for additional pain-relieving effects. For pain relief, Kinderleher recommends both marijuana and hemp derived CBD balms applied topically in the form of a balm or salve to troubled areas. He says that, “whether taken systemically or applied locally, these products can help many patients significantly decrease their need for pain medication” and goes on to site that states that have legalized marijuana have seen a 25% reduction in deaths related to opiate overdose. Here’s the thing though. In another article, Kinderleher says that cannabis shouldn’t be mistaken for a treatment for Lyme disease, but instead considered effective for the symptoms associated with the disease. For those who don’t enjoy the high associated with THC, CBD could offer the relief you so desperately need. Dr. Marty Ross is a Washington-based doctor who has specialized in Lyme disease since 2004. According to Ross, both CBD and THC can benefit those suffering from Lyme disease in several different ways, and it all comes down to how cannabinoids support the body’s natural endocannabinoid system. Specific ways Ross says CBD in particular can help with Lyme disease include: as an anti-inflammatory, to mitigate anxiety associated with the disease, for nerve, muscle, and joint pain, for seizures or seizure-like symptoms, muscle spasms, tremors, muscle stiffness, and to decrease the use of narcotics to control pain. CBD should not be considered a “treatment” for Lyme disease. Antibiotics are used to successfully treat the disease (that’s what cured ours), and there simply aren’t enough studies to back up any claims of CBD being a “cure” for Lyme disease. While this could change as more research is conducted, as things stand right now, CBD should only be used to help ease the troubling symptoms associated with the disease. If you’re interested in an all-natural way to help ease several of the symptoms associated with Lyme disease, CBD could offer exactly the relief you need. Are you someone who has or had Lyme disease and found relief using cannabis? We’d love to hear about your experience in the comments section below.